This review provides a summary of non-pharmacological treatments for children diagnosed with various psychiatric disorders — psychosis, bipolar, and disruptive behaviors — that are regularly treated with antipsychotic drugs. However, the treatments for psychotic disorders and bipolar disorders discussed below are presented as adjuncts (add-ons) to antipsychotics rather than as alternatives to the drugs. Stephen Scott, a professor of child health and behavior in the UK, has written extensively about psychosocial interventions for problems of childhood behavior. His foremost suggestions, discussed in this report, are to involve the family non-judgmentally, teach parenting skills, improve upon youths’ existing strengths, and address the specific context of problems (such as school, at home, or with peers). Another report, from John Church at the University of Canterbury, UK, offers similar findings, with an emphasis on intervening as early as possible. This report reviews, in great detail, many varied types of psychosocial interventions and is a great resource for identifying the evidence base for these programs. These programs involve professionals traveling to the homes of members of at-risk populations in order to reduce the likelihood of conduct problems and disruptive behaviors in their children. Two programs of this type that have undergone scientific testing are the Nurse Family Partnership (NFP) and the Early Start Project (in New Zealand). The outcomes for the NFP trials were fewer arrests, convictions, and parole violations for adolescents up to age 15 (compared with no treatment). The Early Start program demonstrated initial success, with fewer “conduct problems” for children, but has only been tested in children up until age 3. Other programs that have followed the home-visiting model have shown inconsistent or no improvement in results. For instance, Healthy Families America (HFA) has been studied in several regions of the United States. In some studies, the intervention resulted in fewer mother-reported instances of physical punishment and abusive parenting; however, most parenting and child development outcomes were not different from those of control groups who received no intervention. Likewise, a program called Parents As Teachers was found to have no significant effects on parenting or child development outcomes in controlled trials. Based on these findings, it appears that the more carefully constructed and manualized programs such as NFP tend to be more effective at preventing future conduct problems in both mothers and children, while less-rigidly defined programs are less likely to have an effect. For more information about these programs, how they were studied, and their results, see this article. These interventions are preschool childcare/educational programs, generally delivered to low-income families (“at-risk” for poorer outcomes in childhood and adulthood). Many programs across the US are derived from this intervention format, mostly based on two studies from decades earlier. The Perry Preschool Program is the primary example, which was studied long-term until participants were adults. It was a two-year program for at-risk African American preschool-age children. It included several hours of onsite childcare a day, as well as tutoring and home visits, during the school year. It resulted in higher test scores in children, and better outcomes as adults (such as fewer arrests, more home ownership, and more school graduations). The other intervention, begun in the 1970s, is the Abecedarian Project, which was also studied long-term until participants were adults. It provided day-long, site-based childcare and educational content to children throughout the entire year for several years, from infancy to kindergarten. Compared with the Perry program, it had greater effects on IQ, educational retention, and educational achievement. However, this program did not have long-term effects on arrest rates. This could be due to being provided to a more affluent group of parents, less at-risk for encounters with the justice system. Articles about the effectiveness of these programs (and center-based prevention interventions in general) can be found here and here. Triple-P, or the Positive Parenting Program, is an intervention that aims to reduce children’s behavioral problems by providing parenting skills training. Triple-P has five levels so that parents can receive the program intensity they need. They range from brief online self-help, to longer, therapist-led interventions to develop parenting skills. Triple-P was developed by Matthew Sanders and colleagues at the University of Queensland in the 1990s, and was formalized as “Triple-P” around 2001. It has been extensively studied in Australia by this group. Parents consistently respond favorably to the intervention. Parents report that it improves their parenting skills, the behavior of their children, and the emotional well-being of their children. However, the improvement appears to be in parents’ perception or expectations of their children’s behavior. This is because the behavior of the child—when observed by a researcher—does not appear to change significantly, and there is no significant improvement in ADHD symptoms. The research is limited because the outcomes are almost entirely based on mothers’ reports of their children’s behavior. The researchers rarely conduct their own assessment of children’s behavior, and rarely use reports from others, such as fathers or teachers. The intervention appears to be best at improving the overall emotional well-being of children, rather than targeting specific symptoms or behaviors. For more information about how this intervention works, the Triple-P website is available here. For more information about the research on this intervention, see the studies available here and here. The parenting program known as “The Incredible Years” is an intervention that aims to reduce children’s behavioral problems by providing parenting skills training. It consists of 11 to 14 weeks of group therapy for parents, with video vignettes to introduce parenting skills topics and provide examples of healthy and unhealthy parenting styles. Parents then role-play parenting scenarios and may rehearse with a therapist leading the session. There are also handouts and homework assignments. This intervention was piloted by Carolyn Webster-Stratton. It was originally known as Parents and Children Series (PACS). It has been researched in numerous countries for several decades. Mothers consistently respond favorably to the intervention. Mothers report that it reduces some negative parenting behaviors, increases some positive parenting behaviors, and improves the behavior of their children (including slight improvement to reported ADHD symptoms). The intervention does not appear to improve overall emotional health for either children or parents. Reports of whether it improves children’s social behaviors are mixed. Some research has found that the intervention is most successful for improving the behavior of children with severe conduct problems. Although most of the research is based on mothers’ reports of their parenting and their children’s behavior, some studies that included teachers’ reports and independent observation also detected improvements in parenting behaviors and children’s behavior. However, these effects were smaller than those represented in mothers’ self-reports. For more information about the research on this intervention, see the studies available here and here. The New Forest Parenting Program (NFPP) is an intervention that aims to reduce ADHD symptoms in preschoolers by providing eight sessions of in-home individual parent therapy. These sessions include information about ADHD, games parents can play with their children to improve attention and behavior, and therapist feedback after observing the game. It is a newer intervention that has been studied in the UK and the US for the past 15 years. Parents report moderate to large improvements in children’s behavior, including ADHD symptoms and conduct problems. In this regard, it may be superior to alternative parent- training programs that do not directly address ADHD. However, research on NFPP suffers from the same limitations as other parent training research. Teacher ratings—and the clinical observations of researchers—do not show the improvements that parents report. Thus, the improvement appears to be in parents’ perception or expectations of their children’s behavior. A UK overview of the NFPP can be found here. For more information about the research on this intervention, see the studies available here, here, and here. This intervention involves teachers being trained (and sometimes having specialized aides) in order to provide behavioral conditioning responses to students with disruptive behaviors. This usually involves training teachers to provide a consistent, powerful system of rewards and punishments in order to control the behavior of children in the classroom setting. Some examples of codified interventions of this type are the Programme for Academic Skills (PASS), Contingencies for Learning Academic and Social Skills (CLASS), and Reprogramming Environmental Contingencies for Effective Social Skills (RECESS). In general, teachers report that these interventions are helpful for managing behavior in the classroom. Evidence on overall effects indicates that the program is effective for maintaining behavioral control as long as the system is maintained at its most intense level. If teachers do not continue providing extreme rewards and punishments, or if they are not consistently supported with training and additional aides, the system appears to be much less effective. For a detailed overview, see the book chapter available here. This intervention involves placing children in a specially-trained foster family (for six months to a year), who then carry out a system of rewards and punishments intended to encourage prosocial behavior and reduce aggressive and criminal behavior. In several small randomized trials, this intervention has been found effective, with results as strong as a 50% drop in arrest rates when compared with the control group (review here). Additional research has found that the intervention increases school attendance and homework completion. According to reviews, the best outcomes are related to consistency of discipline, good supervision by the foster parents, and good relationship with the foster parents. For more information, see the study available here. Family therapy is an umbrella term that encompasses a variety of specific interventions. Two of the primary forms of family therapy are “multisystemic,” in which numerous contexts of the family and children’s lives are addressed, and “functional,” in which attention is paid to the function of acting out behaviors and/or family interactions, and includes parent training techniques. Two interventions that fall under this label are Brief Strategic Family Therapy (BSFT) and Multisystemic Therapy (MST). These interventions are generally intensive, home-based family therapies focused on both adolescents and parents. They have been studied mostly for behavior problems, drug abuse, delinquency, and disruptive behavior disorder (DBD). Studies have generally reported that BSFT and MST result in reductions in disruptive behaviors (such as bullying and aggressive acting-out) and improved family relationships, usually as reported by parents. For more information about the research on family therapy for behavioral change, see the example article available here and the review articles available here, here, and here. Interventions of this design are based on the idea that children who exhibit problematic behaviors, such as those diagnosed with oppositional defiant disorder, conduct disorder, or ADHD, lack the skills to engage in more appropriate behaviors for the situation. Thus, this model involves working with the child to identify problematic areas and develop skills to overcome them. Essentially, the theory here is that children act out because they lack skills to respond to what’s being asked of them. This intervention was developed by Ross Greene, author of numerous books on child behavior, such as The Explosive Child, Lost at School, Lost & Found, and Raising Human Beings. The model, according to Greene is now known as “Collaborative and Proactive Solutions” following a long legal battle over intellectual property, which ended with Massachusetts General Hospital putting forth its own version of this approach, which is known as Think:Kids. One well-conducted study compared Collaborative Problem Solving (CPS to parent behavioral training, and found that outcomes were generally comparable—parents reported improvements in oppositional behaviors as well as in parent-child conflict. This was true in both the CPS group and in the parent behavioral training group. Other studies have found similar outcomes: parents consistently report improvements in their children’s ADHD symptoms and oppositional behaviors. Studies of CPS in locked, inpatient hospital units found that this intervention reduced the use of restraints, seclusion, and injuries to staff and patients. Anecdotal data from residential units using this intervention support its efficacy in reducing aggressive behavior and outbursts in adolescents, as well as improving parent’s ratings of other emotional problems in children. CPS has as yet rarely been tested in a systematic manner against other approaches or using randomized group methods. For more information about the research on this intervention, see the review article available here. Positive behavioral intervention is a term for any home- or school-based behavioral intervention based on the principles of applied (or functional) behavioral analysis (often abbreviated ABA). This intervention involves determining the function of the child’s behavior (i.e. why the child behaves this way) in order to change the behavior. Positive behavioral intervention can include approaches such as providing children with choices, teaching children self-management of behavior, and teaching children communication skills. It can also include systems of reinforcement based on conditioning principles (e.g. rewards and reward withholding). Teacher and parent reports indicate that this intervention is successful at reducing problematic behaviors, especially in people with autism and developmental disabilities. Studies on this intervention are widespread but very few use groups or a randomized design (most follow a single subject through an intervention). Most of the studies on this intervention have been conducted on children with autism, developmental disabilities, and intellectual disability. For more information about the research on this intervention, see the review papers available here and here. CBT is a type of therapy that attempts to build skills for managing thoughts, behavior, and emotions, often using roleplaying or other real-life practice of those skills. In this case, it might involve practicing how to react to particular environments and settings, or how to engage in more appropriate interpersonal interactions. An analysis of the studies on CBT found that the intervention was effective at reducing teacher-reported disruptive behaviors when compared with a control group who did not receive CBT. A CBT-based “anger coping” intervention was tested in the 1990s on young boys who were rated by teachers as “highly aggressive and disruptive.” There was no improvement on behavior or delinquency at the initial follow-up; however, three years later, the boys in the program had reduced drug use and better self-esteem than the control group who had not received the intervention. An intervention called Coping Power has been tested more recently, and appears to be associated with mixed results. A review of the evidence found that some studies found a significant improvement in school behavior, reduced assaults, and reduced substance use (as reported by parents). However, other studies found no improvements in substance abuse and delinquency. Additionally, this intervention includes much more than simply “anger coping.” It includes both group and individual sessions of CBT focused on a number of issues for the youths. It also includes a number of individual and group parent sessions as well as in-home visits. This type of intervention involves directly teaching children social skills, problem solving, and sometimes anger management. It usually involves a group of children who can practice together. One example program is The Incredible Years: Dinosaur Program (an offshoot of The Incredible Years parenting program). It is usually considered an add-on program after trials of medication and/or parent training. Some research has found that social skills training, when added to other interventions, can reduce behavioral problems, conduct disorder, and oppositional defiant disorder, both at home and at school, as well as result in children having less aggressive interactions with peers. However, a large review of the evidence found no evidence that social skills interventions worked to improve behavior in the classroom or to improve social skills. According to Scott’s review of the evidence for these programs, harsh “boot-camp” style interventions do not appear any better than no treatment at reducing criminal recidivism. “Scared straight-style programs, which involve showing adolescents prisons and other consequences of the justice system, have been found to be not just ineffective, but also harmful—paradoxically increasing rates of offending. Wilderness programs that involve physical exercise and also provide some type of therapy may be somewhat effective at reducing recidivism. Certain interventions attempt to create a culture where peers have the power to set cultural norms—based on the notion that this empowers youths to take responsibility. Unfortunately, these interventions, such as the Cambridge-Somerville Youth Study Evaluation and the Adolescent Transitions Program, have resulted in worsening outcomes, such as increased delinquency, drug involvement, and school suspensions. Mary Fristad and Heather MacPherson reviewed the evidence base for psychosocial interventions intended to treat bipolar disorder in children and adolescents. All of the interventions they reviewed were studied as “adjunctive” treatments—that is, they were added to pharmaceutical treatment in an attempt to improve outcomes. Thus, it appears that no treatments have been compared directly with pharmaceutical treatment as an alternative. Recent Canadian guidelines on psychosocial treatments for children and adolescents with schizophrenia advise engaging with families, taking time to foster good therapeutic relationships, focusing on recovery with “hope and optimism,” and promoting autonomy by including the youth in treatment decisions. Likewise, these treatments are studied as “adjunctive” to pharmaceutical treatment in almost all cases. This intervention involves either single-family sessions, separate parent and child sessions, or groups comprised of families. It focuses on a number of different aspects, including psychoeducation (explaining the current thinking about how bipolar disorder/psychosis appears and progresses for children and adolescents). It usually also includes cognitive-behavioral-style skills building, focusing on increasing adherence to treatment, improving communication skills, raising awareness of stressors that can cause worsening of symptoms (such as family conflict), providing social support between family members, and increasing emotional regulation skills. This intervention appears to have the largest and most successful evidence-base for bipolar disorder in children and adolescents. Studies on youth bipolar disorder such as this one and this one have compared the intervention with treatment-as-usual (both groups usually included medication as well). In general, the findings have been that although recovery from symptoms occurs for both treatment-as-usual and this version of family therapy, this particular intervention may improve the speed of recovery from symptoms and duration of recovery. There have been minimal studies on interventions for youth psychosis, but a review of studies on early intervention using family therapy for first-episode psychosis (including many in late adolescence), found that family therapy improved relationships between family members and reduced rates of relapse for psychotic symptoms. However, there did not appear to be a difference between family interventions and usual care on the key outcomes of psychotic symptoms or hospital admissions by the end of treatment. 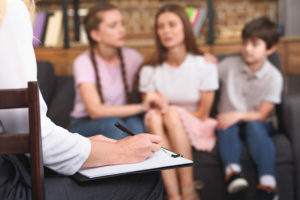 Provided to adolescents, this weekly psychotherapy involves the same aspects as other such interventions but is delivered in an individual setting rather than a family setting. Thus, it includes psychoeducation (explaining the current thinking about how bipolar disorder appears and progresses for children and adolescents), increasing adherence to treatment, improving communication skills, raising awareness of stressors that can cause worsening of symptoms (such as family conflict), providing social support between family members, and increasing emotional regulation skills. CBT for psychosis has been studied in adults, with the general finding that it improves psychotic symptoms, and may improve other outcomes such as overall functioning and mood as well (see this review article). CBT has also been studied for “early intervention” in people “at risk” for developing psychosis, which usually includes late adolescence/early adulthood. In a Dutch trial of early intervention for the ultra-high-risk group, receiving CBT treatment appeared to halve the risk of developing full-fledged psychosis. This gain was maintained at a four-year follow-up. As an individual intervention for bipolar disorder in adolescents, this intervention has hardly been studied but, based on at least one study, it appears to be more successful when CBT skills are incorporated into family therapy rather than into individual therapy. In that small pilot study of individual CBT, none of the primary outcomes had statistically significant results, including measures of depression and manic symptoms. The researchers note that there was a trend for improvement that did not meet statistical significance. The research on DBT for this indication is very limited. DBT is only beginning to be studied in an adolescent population and has rarely been studied for bipolar disorder as well. One year-long preliminary study with adolescents with bipolar disorder indicated that DBT can be effective at reducing suicidality and self-harm. The intervention may also reduce depressive symptoms. However, it did not appear to reduce manic symptoms. This intervention is based on the idea that people with bipolar disorder are more reactive to changes in circadian rhythm. It focuses on restoring sleep hygiene as well as interpersonal/social rhythms (i.e. interacting with others throughout the day). It is an individual therapy that uses behavioral techniques to achieve improvements in these areas. IPSRT has been studied for adult bipolar disorder. Only one preliminary study seems to exist for adolescents; in that study (without a control group), the intervention appeared to decrease depression, mania, and improve quality of life. However, without anything to compare this with, the results could have been due to other factors; for instance, 11 of the 12 participants were taking medication during the trial. Supported education and supported employment are based on the notion that education and work are two important domains of life that are vital to the recovery process, particularly in psychosis. 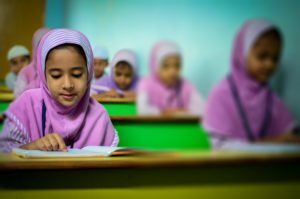 The goal is inclusion—that is, providing supports so that the client can participate in regular work/school with the general population, rather than in segregated pseudo-education or pseudo-work. Specialists should develop relationships with employers and educational systems in order to help with the job search process and the supported education process. The Individual Placement and Support (IPS) model of vocational rehabilitation has been studied in adults with various mental health diagnoses, including psychosis, bipolar disorder, and depression. Studies are documented in this book. IPS appears to be effective at enabling people recovering from psychotic experiences to re-enter the workforce. A review of studies on IPS found that it may be more effective than other forms of vocational support, with more competitive employment outcomes, quicker job placement, and more hours worked. Employment may also help move the person out of poverty and result in overall functioning and quality of life improvements. Other outcomes, such as mental health improvement and self-esteem, are less clearly impacted by IPS, but some evidence points to these all improving as well. Supported education programs are also commonplace, although the research on their effectiveness is limited. A review of such programs details the theory and practice—how they work, and why researchers think they would work. Evidence cited by these researchers appears to indicate some improvements in educational engagement and achievement, but more thorough and careful studies need to be conducted. Cognitive remediation involves practicing tasks that are hypothesized to improve mental functioning, such as attention, memory, and logic tasks. The theory is that regularly practicing cognitive tasks enables better mental functioning in the future. An analysis of several trials of this intervention in first-episode psychosis (likely including some participants in late adolescence/early adulthood) found that it had no effect or very limited effect on improving any domain of cognition. There was a slight improvement in overall functioning and symptoms of psychosis, however. Functional outcomes such as this appeared to be found when cognitive remediation was combined with other interventions, so it is unlikely to have much effect on its own. This intervention involves discussion of social interaction and communication skills, role-playing practice sessions, and behavioral homework to put social skill development in the context of the “real world.” It is usually delivered in a group format. The training is intended to help prevent social isolation and interpersonal stressors, which increase the likelihood of relapsing psychosis. A new version of social skills training involves practicing in a virtual simulation; this has only begun to be tested scientifically. Social skills training has been found to increase interpersonal functioning, community functioning, and overall living skills; it may also help prevent relapse after recovery from psychosis. This review explains the history of social skills training for psychosis, as well as the current evidence for its effectiveness. Free fatty acid supplementation is supplementation with substances variously referred to as polyunsaturated fatty acids, PUFA, and omega-3 and omega-6. 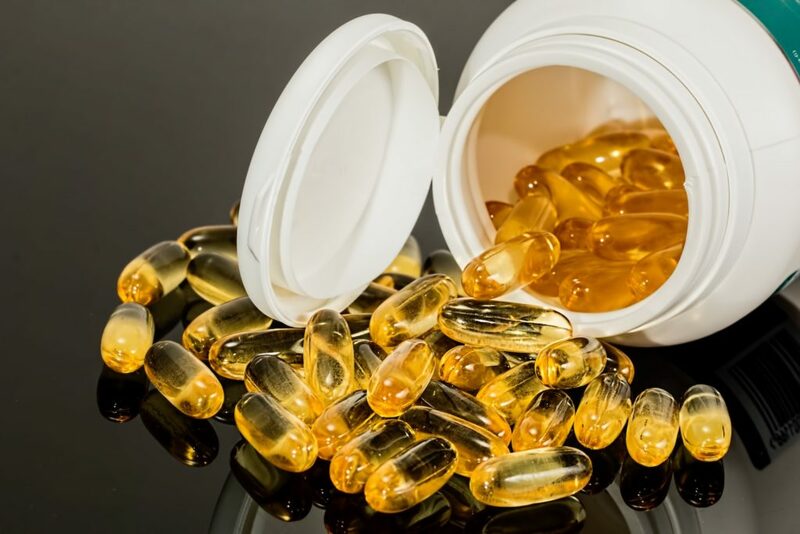 An analysis of the trials of supplementation with EPA (a type of Omega-3) found no consistent positive effects of supplementation on psychotic symptoms. However, a randomized controlled trial on adolescents and young adults with subthreshold psychotic symptoms found that Omega-3 supplementation reduced the likelihood of transitioning to full-fledged psychosis, reduced the severity of subthreshold psychotic symptoms, and improved functioning. Thus, the full effect of omega-3 supplementation is still unclear, but it may offer benefit, especially in the early treatment of subthreshold symptoms or in youths who are at high risk of developing psychosis. Some studies have found that moderate aerobic exercise several times a week can help improve some aspects of psychosis. It appears to be most helpful for improving “negative symptoms” such as apathy, flattened mood, and slowed speech. It also appears to improve cognitive abilities. Some of this research was tested on youths, especially regarding cognitive abilities. This virtual reality therapy for people who hear voices involves creating an “avatar” (a digital representation) of the voice. The person with psychosis can then interact with that avatar (which is voiced by the therapist), with the goal of modifying the voice to become less hostile, frightening, and powerful. It is a relatively new therapy which has only begun to be studied; nonetheless, it shows promise. In a large, randomized controlled trial, people who received AVATAR therapy experienced significantly reduced auditory hallucinations (in terms of both frequency and how distressing the voices were) when compared with those who received supportive counseling. This intervention does not yet appear to have been studied in youths. Interventions based on mindfulness meditation have been studied for psychosis, with mixed results. Reviews suggest that unguided meditation can have harmful effects, even triggering psychosis, but some guided mindfulness exercises may help people cope with stressful situations that could trigger psychosis. The difference appears to be whether it is an insight-oriented, metaphor-based meditation (not very helpful in psychosis) or an attention-focusing exercise (mindfulness, which may be helpful). However, studies have found mixed results, with some demonstrating improvements in functioning and psychotic symptoms, and others finding no such improvements. This article summarizes the use of mindfulness in psychosis; this review summarizes the mixed findings of studies of the intervention. It does not yet appear to have been studied in youths. ACT is an intervention that combines some practices of CBT and mindfulness, focusing on values-based living rather than symptom reduction. Thus, it aims to increase overall functioning and ability to achieve life goals. It has been tested for people experiencing psychosis; in one study, ACT appeared to halve the risk of rehospitalization when compared with treatment as usual. It does not appear to have been studied in youths so far.